Good Document Management is key to a smooth-running business. This seems simple, but many companies struggle to maintain a single source of truth for all documents available within the company. There are many solutions available on the market, but how do you choose the right one for your company? Basically, we can distinguish two main approaches for document management: case-centric and document-centric. The case-centric approach deals with a set of information in a specific context and is managed within that context. The document-centric approach focusses on each individual document. Documentum D2 (D2) is based on a document-centric approach that handles Document Management solidly. With the right configuration it enables you to apply your business rules onto your documents. You can even configure different rules per lifecycle state of a document. Autonaming and autolinking configurations ensure your document always has a unique name and can be found in a predefined folder, structured and based on the metadata of the document. The user interface is a dynamic and configurable, consisting of different widgets. Each widget represents a unique activity, like document browsing, property screen or previewing a document. These widgets can all communicate with each resulting in an intuitive user interface. The user can decide where the widgets are located, what widgets are showed and hidden and adjust his workspace to his preferences. You can configure your PDF renditions to have a watermark with the lifecycle state, version number and date of print. If a new version of a document is created, D2’s controlled print functionality will send the user a mail to destroy his printed . It allows you to write your own custom code if needed. 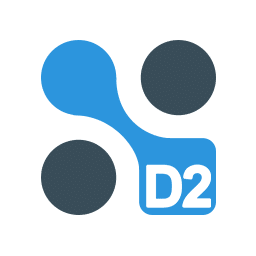 A D2-plugin or a Documentum method, all libraries are available to write JAVA code that can communicate with D2. Everyone can learn to maintain their own application with the right training. Of course, we can provide the necessary workshops. Configuring instead of coding also makes D2 project a perfect match for agile projects. It’s also incredibly scalable. Configure an application for 60 employees, and 2 years later, the same configuration will still apply for 200 employees. With a variety of D2 products, like DOLSR and EQMS, Informed Group can always find the right D2 solution for problems. We will be happy to inform you about our options and analyze what solution will be best for your company.